Fed Up With Bad Strike-Ins and Attacks? Are you sick of practicing week in and week out, but still struggling with your pipe band attacks? It doesn’t matter if you’re a grade 5 band or a grade 1 band - it’s painfully clear that a great attack means more now than it ever did. And, even if you don’t compete - it’s embarrassing (as it should be) when the group can’t get their instruments up in unison. It’s this a clinical scientific study? No. But it’s the bottom line - bands with bad attacks almost never win contests. Is it possible to win without a great attack? Yes, but generally that will mean that every single other aspect of a band’s performance is disproportionately better than the competition. And speaking of disproportions — the band’s attack (you know, that 3 second window when the band strikes in) is worth so much more than what happens during the rest of the performance, that we just can’t afford to ignore it. The strike-in is the first impression. Do a bad job right at the beginning, and it sets the tone for the rest of the performance. Bad strike-ins sound awful! Generally, they’re nasty/squawky sounds that happen in the wide-open, empty space before the chanters come in. Bad strike-ins give the impression that a band is not fully prepared. Strike-ins are easy “ammunition” for a judge who needs hard reasons to place a band below another. Lastly, some judges I asked were just plain honest with me: A heavy penalty for a bad attack is just, frankly, how it’s always been done. A.k.a that’s just how it is. A.k.a - you’d better have a good attack if you want to do well. Now do you see why Attacks are so important to your performances? And, at the end of the day, this is a good thing!! Put yourself on the other side of the story for a moment: If you are the band with the great attack, and the competition had a poor attack - don’t you feel like you should be rewarded for this? Of course! Isn’t a great attack a super-satisfying musical moment in pipe band music? Yes, of course it is! The problem is, at least for the moment, that your attacks aren’t good. They are letting you down. For whatever reason, this is the bane of your existence. Trust me - I’ve been there. What on Earth can be done to remedy this problem? Good attacks can’t just be a matter of luck if you’re going to get serious about winning competitions… or even just competing at competitions. When I was Pipe Major of the Oran Mor Pipe Band, the group had just been upgraded to Grade 1, and inconsistent strike-ins were an issue to say the least. How would the band ever make the Grade 1 final at the Worlds (which we would eventually do, in 2011) if we couldn’t even be sure that we could all get our pipes to start at the same time? In addition to spending a lot of time as a group working on attacks, we also began implementing what would become the “S.T.A.R” system for guaranteeing good attacks. Yep - that’s right. There had to be a way to totally irradiate bad attacks… we just had to figure it out. When we (the pipe corps leadership) were finished, we were left with a simple, easy to follow (and to remember) 4-pronged system outlining the principles of the fail-proof attack. The four prongs were: Setup, Technique, Air-pressure, and Rhythm. Each prong had a couple of key elements that needed to be practiced and engrained - but now that we had this system in place, it was just a matter of time before we no longer had to worry about having good attacks - we just had to maintain and practice them. Indeed, we were no longer scared of bad attacks - we were just practicing to see how great we could make them. If this were true in your band - how much of a relief would that be? How much more competitive would you be? For a long time, this was just internal information for Oran Mor and for the other bands I taught, but now we’ve decided to “open-source” this information. After all, it’s going to be up to you to execute on this plan - the ideas themselves aren’t that profound (although they are profoundly organized). How to completely eliminate the risk of a double-toning bass-drone ruining your attack…. The exact technique we used for years to make sure there were no catastrophic early chanter sounds, EVER, during an attack. How to ensure you always are in tune on the opening E of an attack, and on the opening phrases of your tunes. How to harness the power of rhythm to ensure every element of your attack is timely, consistent, and never early/late. The exact, top-band-tested method outlining what to do in the rare occasion that a double-tone happens to you. 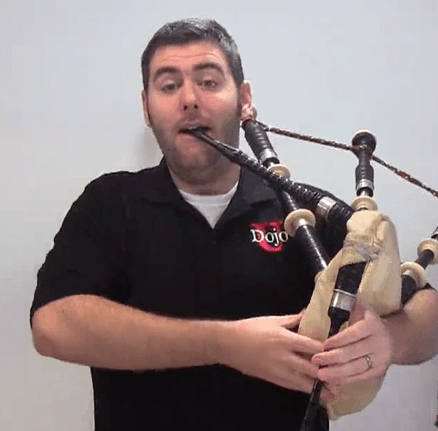 What a pipe major should do during an attack to further fail-proof our already failproof system. Personally, I wouldn’t attempt competing as a band without a fail-safe plan for having a great attack, and this is especially true if you’re the pipe major or leader of a group. A quick view of what one of our success plans looks like on the inside. That’s why we’re so careful to document WHAT WORKS into simple, easy-to-follow success plans so everyone in the Dojo Universe can duplicate these results across wherever they are in the world, or whatever “level” they’re at. Normally I’d sell these Success Plans for $47 - $97 (and this particular plan is probably at the higher end of that spectrum! 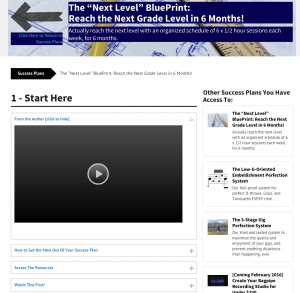 ), but for a very limited time I’ll let you have instant access to this plan for just $7. Literally ascend the prize-list instantly by implementing the fail-proof attack system in your group. Save time at practices by teaching individuals how to implement the fail-proof attack system on their own. Eliminate the ever-present embarrassment that comes from a squeaky, squawky, unmusical “botched” attack. Focus on the music at band practice, instead of constantly and desperately “drilling” attacks (with little to no success). WARNING: This $7 price will return to $47 shortly... so get your copy now! Add to Cart - Just $7! …all through our own, internal bagpiping endeavors. They’re all meat and no fluff. If you want backstory and theory, go read an article somewhere. Success Plans are all about taking action and getting results as quickly and easily as possible. $7 puts this information within the reach of everyone…from the hobbyist to the “serious” piper, from the street band to the high-level competitive band. It weeds out the freebie-seekers. We only want serious bagpipers who take action, and in our experience charging anything…even if it’s just $1…gets rid of 99% of the chuckle-heads. 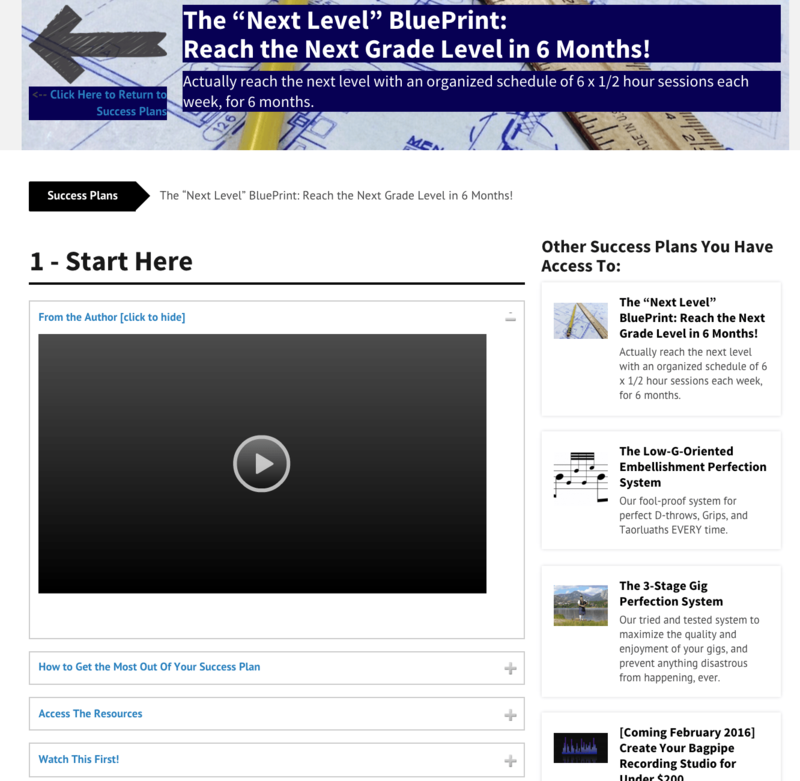 We also believe that once you experience this Success Plan, you’ll want more and maybe…just maybe…you’ll come back, buy more and possibly even upgrade to a Dojo U Premium Membership where you get access to our complete Success Plan Library.